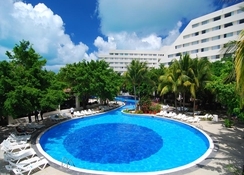 In the hip and happening Playa del Carmen stands the majestic Oasis Palm, an all-inclusive luxury hotel offering ultimate comfort and warm hospitality to all kinds of travellers – couples, families and groups. 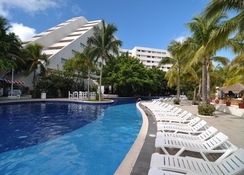 Overlooking pristine powdery soft beaches and the Caribbean Sea, the hotel is in close proximity to the town centre, on Quinta Avenida that’s a hotspot in shopping, nightlife and dining. 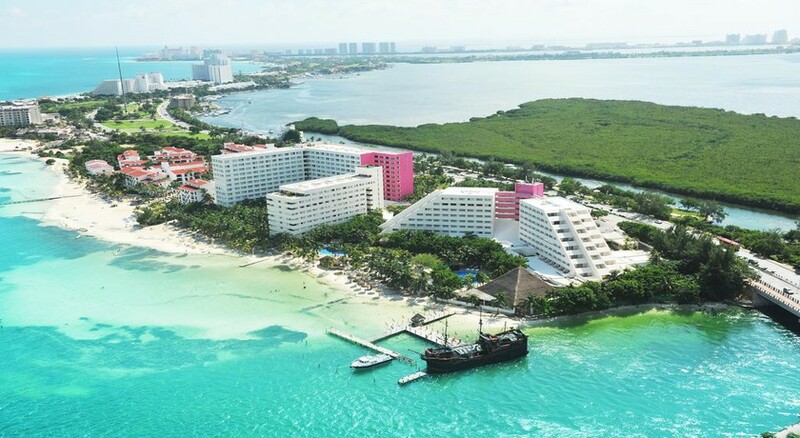 Exuding style, elegance and contemporary charm, Playacar Palace is a choice accommodation for fun-filled sunny holiday to Cancun. The top-notch suites come with state-of-the-art technology and world-class amenities. Guests can spend a relaxing holiday at the hotel that features an amazing array of food and drinks from all over the world, relaxing spa treatments, sports and games, nightly entertainment and loads of fun activities for young guests at the kids’ club. Oasis palm enjoys a great location. 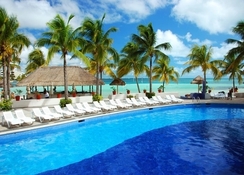 It is situated right at the entrance of the famous hotel zone of Cancun. 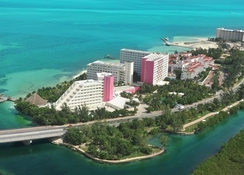 It is situated at a distance of 21 km from the airport and just 5 km from downtown Cancun. Oasis Palm features 270 spacious guestrooms. These contemporary rooms are divided into ocean view and lagoon views. The décor is a blend of Mexican and contemporary style in warm, earthy colours. Amenities you will find across the rooms are TV with satellite, air conditioning, mini bar, safe deposit box, Wi-Fi, en-suite bathroom, and complimentary toiletries. Guests are given the option to choose rooms between twin beds and king-size bed; you can request for extra bed or crib for your little ones. Also, guests are offered room service, wake-up call and other convenient services such as housekeeping. Fresh towels and linens are provided daily. The hotel has a range of restaurants and bars to tingle your taste buds. Careyes serves Mexican gourmet, while Dos Lunas serves international buffet. Isla Mujeres is the beach bar that also serves snacks. La Bamba serves seafood, while Los Agaves is the Tapatio restaurants. Sushi Bar is an interesting restaurant that serves Mexican sushi fusion food, while Sisal serves international buffet. It even has a Yucatan corner. La Cantina is famous for its delicious Mexican snacks. 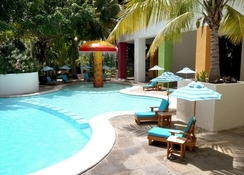 The hotel features multiple swimming pools for both kids and adults. Parasols and loungers are complimentary. You can approach the front desk for beach towels. Water polo, water volleyball, water gymnasium and workout sessions are popular day time activities. The hotel also provides unlimited access to fitness centre, which comes with various fitness programmes. There is a kids’ club (age 4 to 12 years), where they can meet friends from across the globe and partake in various workshops and activities. Also within the premises is a luxurious spa that can be visited by both adults and kids. 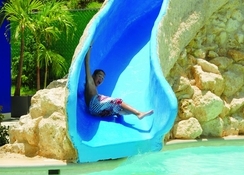 There is also a separate kid’s park, a disco room, a mini water park for kids, a play room, an internet corner, a souvenir shop. Animation and live events are conduct throughout the day and followed by special evening parties and events. Earn up to 3 FREE Nights Per Booking! Experience first-hand incredible beachfront locations, gourmet dining experiences and a vast array of incredible entertainment with Oasis Hotels & Resorts. This booking incentive runs through until 28th February to cover the peaks.